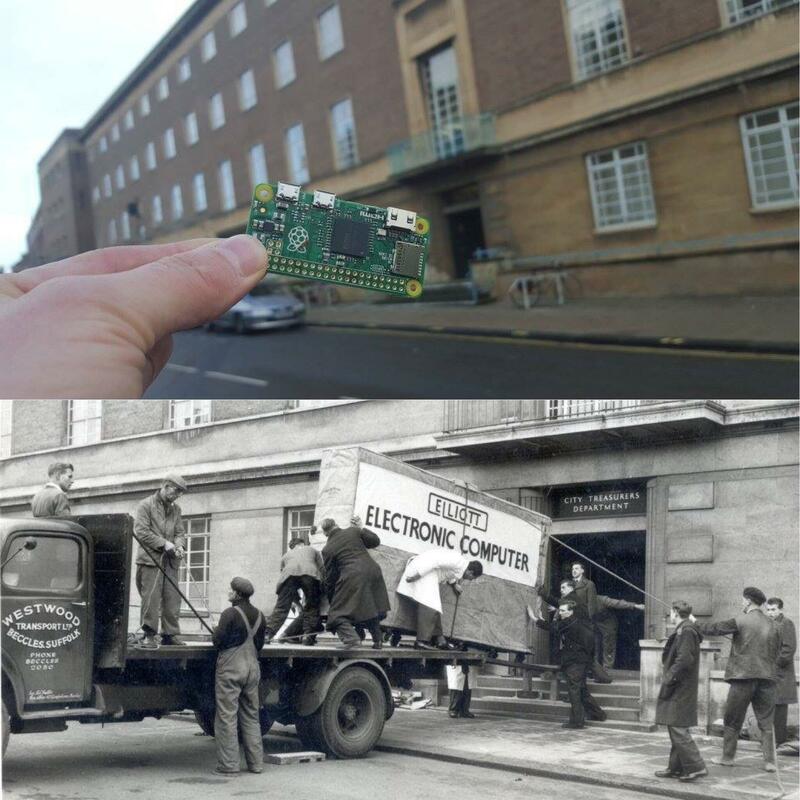 The Electronic Computer being unloaded is an Elliott 405 and it was the first municipal computer at the City Treasurers Department in Britain. The computer was used to process the council's accounting, payroll, stock control, and other basic mathematical uses back when it was installed in 1957. Today, the same processing power can be observed in the above picture, taken at the same location. What do you think that chip will look like 60 years from now?? 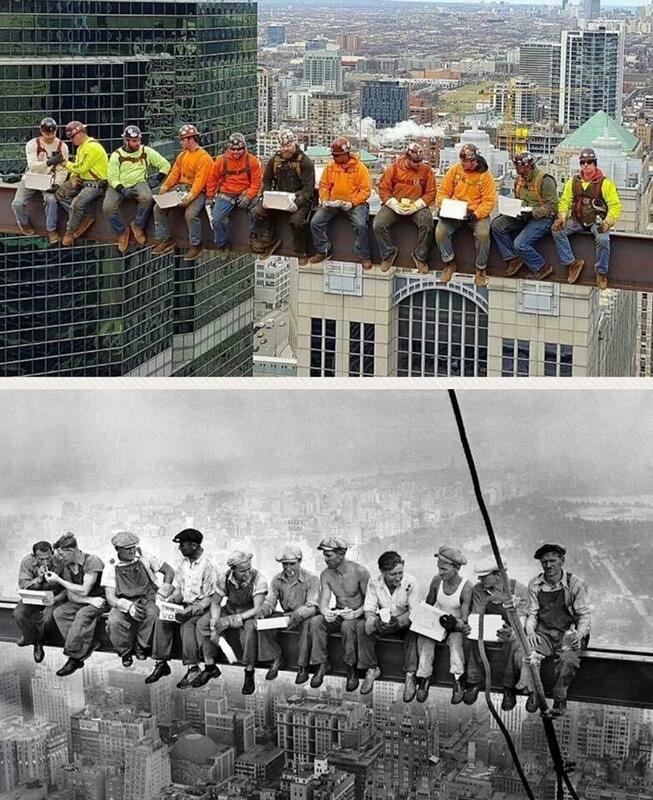 Chicago local #1 Iron Workers remake the iconic “Lunch atop a skyscraper” photo that was originally captured in 1932. Can you spot all of the differences?